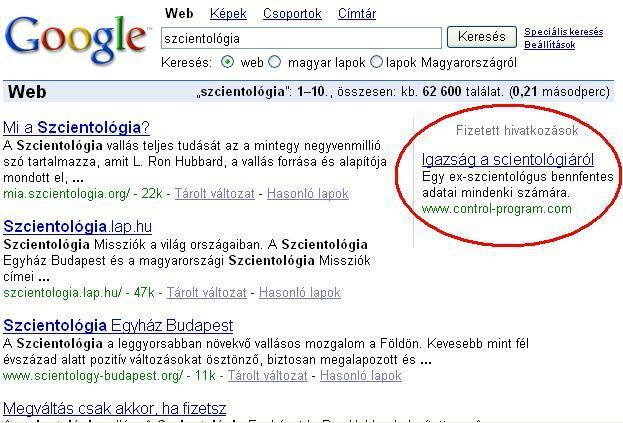 When you type "szcientolÃ³gia" in Google, a payed ad appears on the right. This guy has given the church a fortune, now he pays google a lot for that ad. There is a very good writing on it for scientologists. I tell you he keeps OSA very very busy by doing other things that I can not tell you right now.